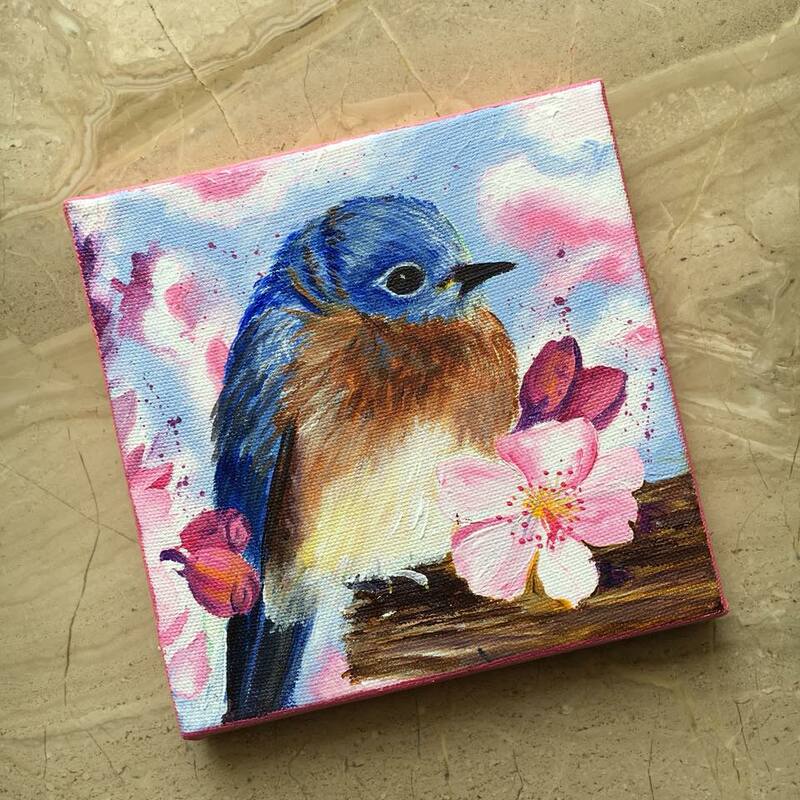 I am so excited to bring for you a little acrylic painting tutorial of this cute little blue bird sitting on a branch. Hope you will enjoy it. Cant wait to see your version of it !! ENJOY 30% OFF on the first month of the monthly art classes at Artyshils Art Academy :- CLICK HERE TO ENROLL . Share your version of this painting with me HERE.